You can subscribe to gain full access to all of our documents / guides and members benefits including Contract - Unregistered Land. Alternatively, you can purchase for a one off fee. 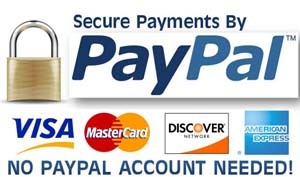 When you click Subscribe, you will be taken to PayPal Screen to complete Payment. NO ACCOUNT is needed. You will return to our site to gain FULL access of all the resources and ability to ask specific questions. The following information is not required, though it will help you access and use the full functionality and features of our website. If you prefer you may skip to the subscription options.